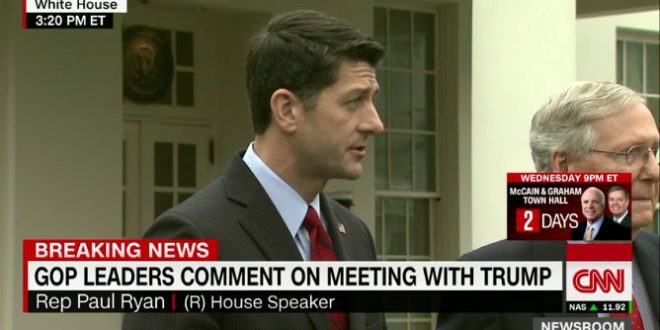 Paul Ryan Contradicts Trump: We Know Russia Meddled In The Election, Nobody Disputes That [VIDEO] - Joe.My.God. Speaker Paul Ryan got a question after his meeting with President Trump today about calls for a special prosecutor into Russian election interference — spurred on by the comments of one Republican lawmaker. Ryan said he “can’t speak to” whether Jeff Sessions should recuse himself, and he said the proper place right now for this investigation is the congressional intelligence committees.